Many people dislike cooking, whether it is because they feel forced into it or find some meals a little too difficult to make well. Regardless, it is important to know how to cook at least a few simple dishes, if only to have more control over ingredients and be a little more self-sufficient. 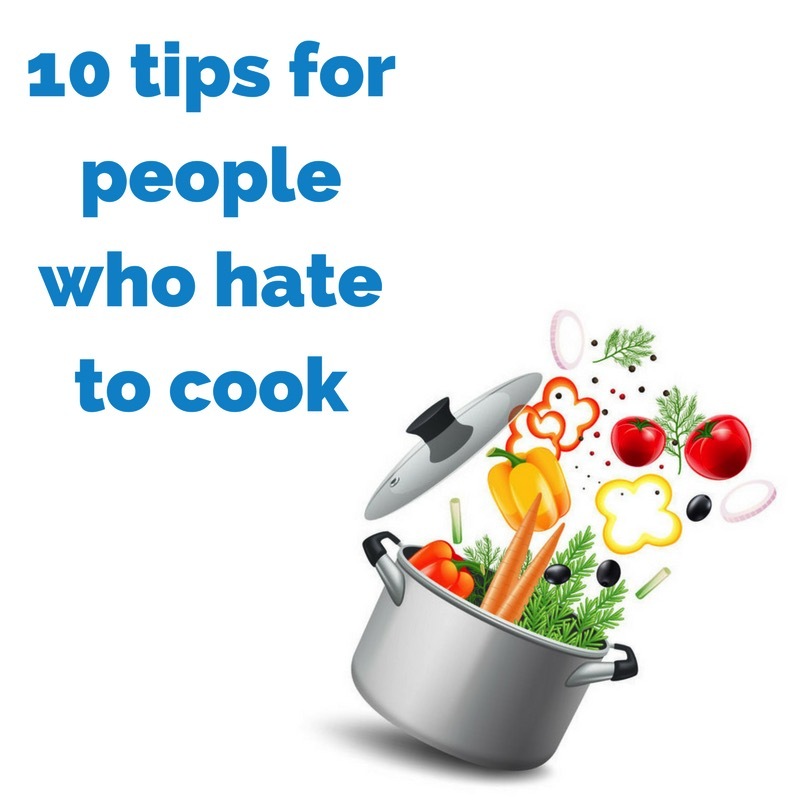 To that end, here are ten tips for people who hate to cook. One complaint among people who dislike cooking is that their tools just do not seem effective. Consider upgrading and investing in a few high-quality but versatile tools. A nice cookie sheet, for instance, can work to make French fries, chicken breast, and even roasted vegetables. Large pots can work for sauces as well as noodles or stir fry. If you have to cook every day, one major struggle is figuring out what to make for dinner. While you do want some variety in your menu, consider creating themed days like Pizza Friday, Taco Tuesday, or Thai Thursday. This way, you have a narrower range of choices on a particular day. You can, of course, still change things up even within your categories. On Pizza Friday, make a traditional pepperoni one week, but perhaps try something new like a Greek Pizza the next week. Different toppings will create a different experience. One pot meals are great for saving you dishes. They also happen to be quite simple and often only have a few ingredients. Complicated meals, especially when you are a beginner, can work to dissuade you from enjoying the cooking experience. Another way to reduce the struggle of figuring out what to cook is to plan your meals. Use part of one day to plan what you will eat for the whole week. This way, you only have to decide once, and the rest of the week you just have to consult your list! Sometimes planning the full meal stresses people out more than necessary. Consider the ingredients you enjoy (like chicken) or what you have available in your kitchen) and plan meals around those items instead. If you will have more than one course—a salad followed by a main course, for instance—consider using the same dish as much as possible. Put your main course on the plate after your salad is done! This reduces the hassle and amount of clean-up after. Choose one day, such as Sunday, and cook your meals in bulk for the rest of the week. Then, you can store things in your refrigerator and freezer until you need them. Reheating with your microwave, on the stove stop, or in a toaster oven is deliciously simple! Cooking by yourself can be boring, especially for those who dislike cooking. However, you can make things more interesting by inviting some friends over to make dinner. Popular meals great to cook as a group include pizza (throw those toppings on!) and anything you can prepare on the barbeque. If you do not have the ingredients you need in your kitchen, cooking can quickly become a chore. To help combat this, make sure you keep your staple ingredients on hand as much as possible. This often means a lot of dry pasta, canned vegetables, soup, rice, and anything else that does not go bad. You can also freeze meat, vegetables, and fruit so they keep longer. Do not forget the spices either! If you want to cut down on cooking time—the time it takes to create a meal is a popular complaint—try tricks like soaking your pasta, quinoa, and other grains overnight. This reduces the cooking time in the evening by quite a lot. You can also cook these items (and similar) in advance and store them in your freezer. With rice, you can freeze it and pull it out for stir fry, fried rice, and even as a simple side dish.